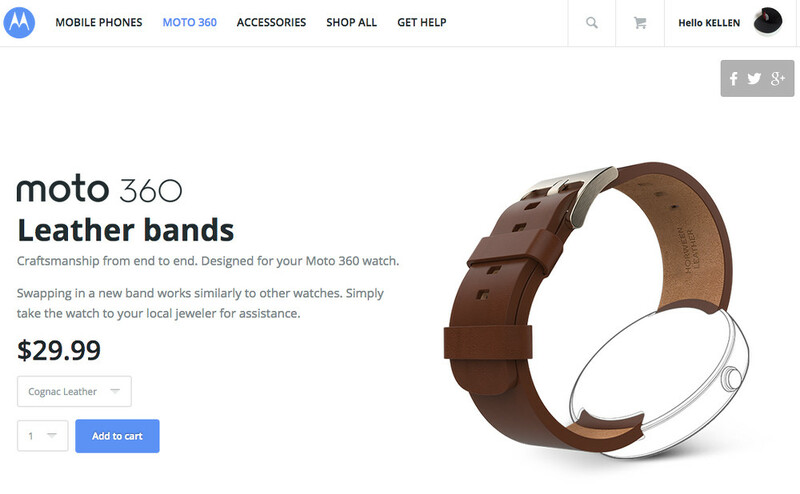 Individual leather or metal watch bands for the Moto 360 are now available through Motorola’s online store. As was previously announced, the leather bands cost $29.99 each and the metal bands cost $79.99 each. For leather, you are looking at options of cognac (brown), black, or stone. For metal, you can choose either light or dark finishes, both of which are stainless steel. The metal bands have a butterfly clasp, tri-link design, and again, are made of solid stainless steel of the “highest quality.” The leather comes from Horween, a tannery in the United States. To swap out watch bands, Motorola recommends that you take the watch into a jeweler.